Let’s go back about 31 years ago to Queens, New York where two childhood friends would spark the formation of a group that would help shape a new sub-genre in Hip Hop culture. 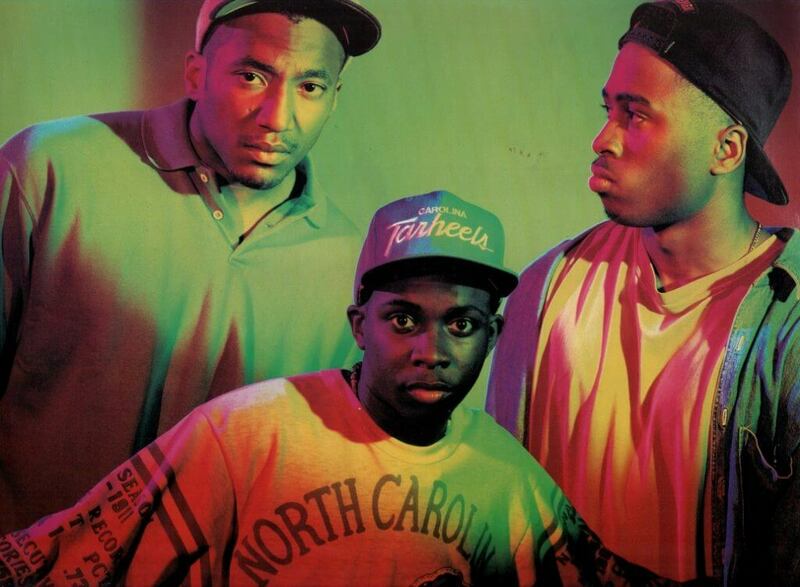 About five years later (in 1989/1990), they would release their debut album and Hip Hop would know those two friends as Q-Tip (the Abstract) and Phife Dawg. 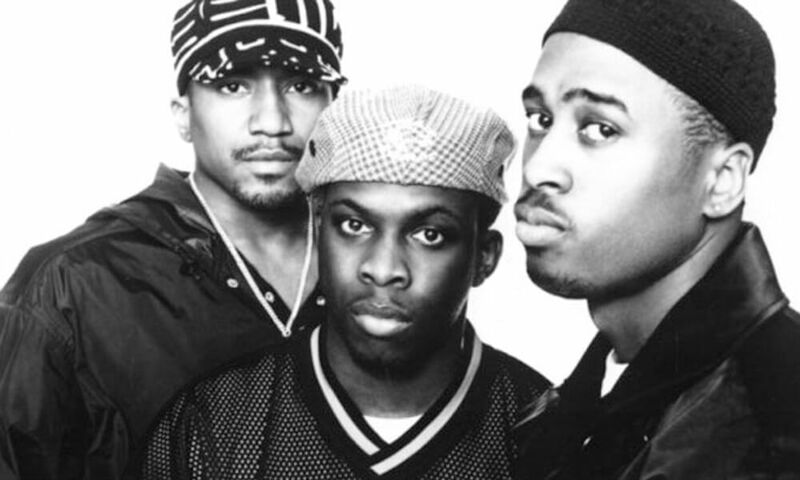 The group would be known as A Tribe Called Quest consisting of the above-mentioned duo as well as Jarobi White and Ali Shaheed Muhammad. Tribe was not only revolutionary for the culture, but they would prove to be of legendary caliber. What we wouldn’t know until years later is that the sub-genre they helped shape as “alternative-jazz Hip Hop” would bridge the generational gap between fans as they perfected the use and integration of jazz and soul beats with intellectual, socially forward themes and concepts. This album along with every release after would gain the group endless notoriety and distinction. 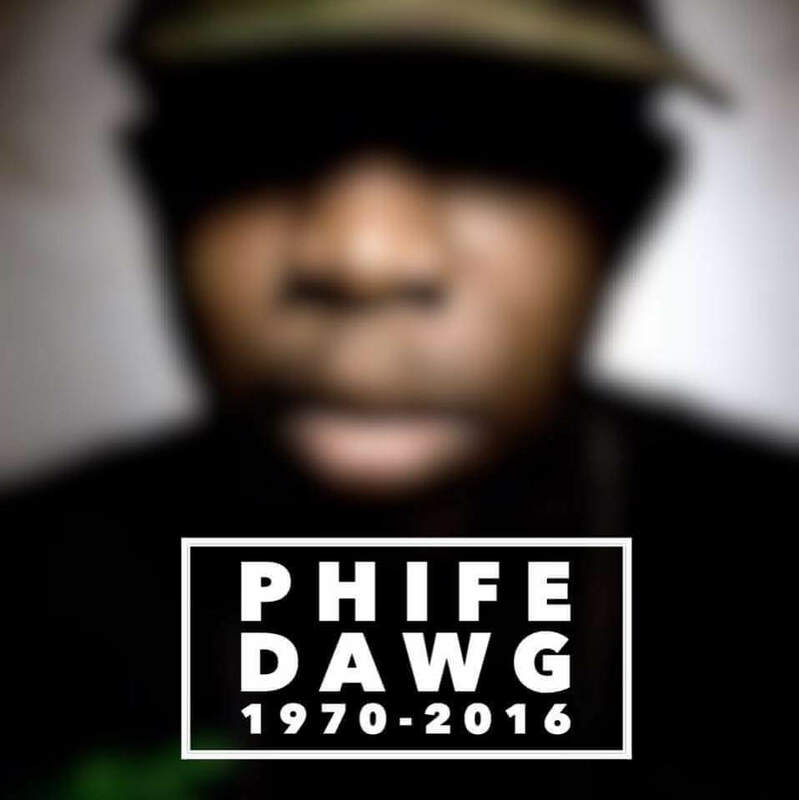 While fans nationwide (and worldwide) turned to A Tribe Called Quest for feel good, elevated lyricism, varying delivery and flow styles from both Tip and Phife for decades, March 23rd would rattle the Hip Hop world when we learned of the passing of Phife Dawg due to his health complications. It was this devastating loss that unified fans of every age in their remembrance of the impact Tribe’s lyrics and group’s presence had. 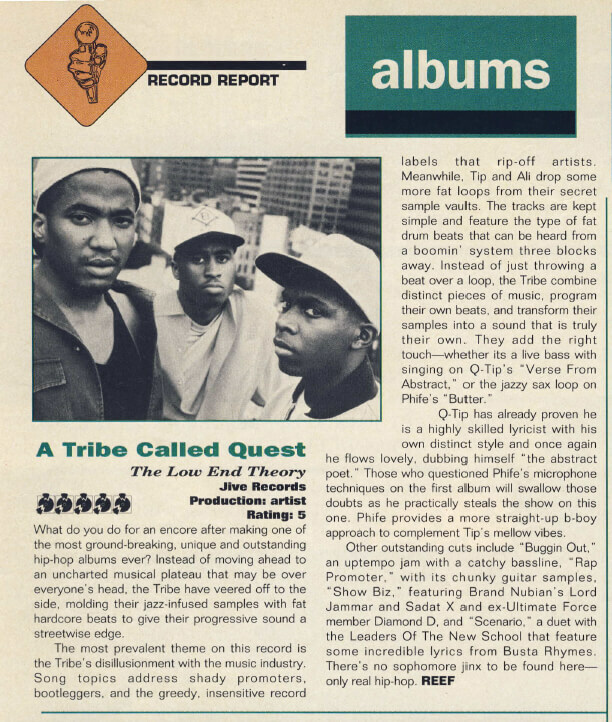 We saw through quotable lyrics, stories, and pictures how vital Tribe would be to the culture. 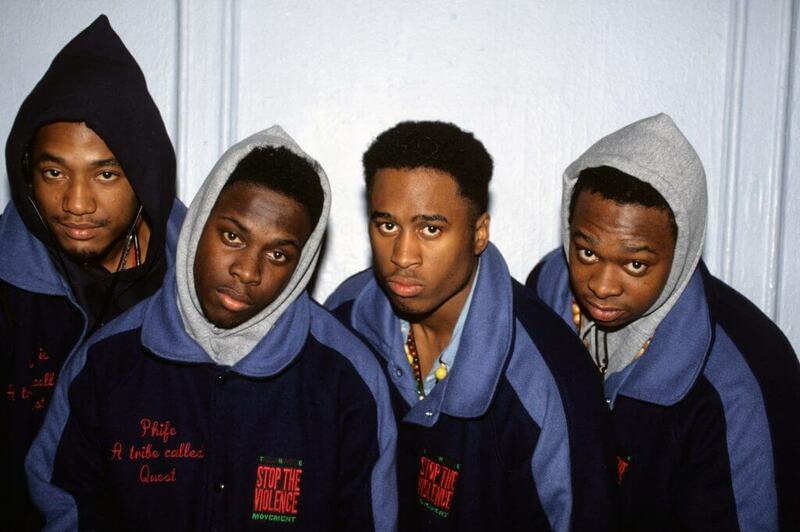 For those of us who still think of the contributions and words of Phife along with the other members, September 24, 2016 allowed us to celebrate the 25th year anniversary of the release of ATCQ’s sophomore project “The Low-End Theory” which only served to cement the popularity of the group after their debut. This fourteen track masterpiece would be regarded as (possibly) the group’s best work. A near, if not perfect album and what brought the revolutionary aspect of “alternative Hip Hop” to life. Let’s take a closer look at what went into making this such a Hip Hop gem. It’s ridden with metaphors and those layered meanings ATCQ is so good at using. On the production side, Ali Shaheed is genius. He kept the samples to a minimum, the intricacies to a simplistic form and let Tip shine. This was an incredible way to kick off the album. I appreciate the play on “diss Phifer”/”decipher” as it fits perfectly and he delivers it flawlessly. As much as I love the lyrics what I appreciate even more than that is how well Q-Tip and Phife play off each other. They hand off verses to one another with a fluidity that is truly unmatched by any other duo in Hip Hop. As a listener, the transition from one rapper to the next is so seamless, if it wasn’t for their voice differences you would think they are the same person. They prove to be a force and with Ali Shaheed on production, they absolutely nail this. The “low end theory” is evident with the heavy use of bass which again works against the rappers’ voices. This is a perfect track in every way and indicative of what we can expect from these two. Next up, we get another track with Q-Tip all on his own except it has a dash of Phife on the hook. We know that Q-Tip is incredible and no matter what the content, his lyrics are solid. You can expect the same on this track as he delivers incredibly. Again the simplicity in the production allows his voice to shine, but overall this is a fun track: “Diggi-dang-diggi-dang, di-dang-ga-dang-a-diddy” how can you not love that? I think everyone (especially the fellas) have shared the sentiment. The beat production is a masterpiece. The hard drum keeps us engaged and the soft instrumental in the background softens it out while the jazz infusion is heard on the hook. This is a highlight yet another perfect track. Next we get Q-Tip spitting “Verses From The Abstract”. His talent and abilities on the mic have never been doubted and that’s largely due to tracks like this. He spits bar after bar, makes it sound amazing and allows us to appreciate his smooth unique sounding voice. Another great addition to an already solid track list. I love the coherence and aligned thought. This track is articulated so well, it becomes evident that there is a elevated mindset and it’s much appreciated. As laid back and chill as ATCQ is, they manage to emphasize the importance of certain topics and convey their intended point so well. The next track “Check The Rhime” is my favorite for so many reasons: It’s my favorite to quote and ever since Phife passed away, it brings tears to my eyes to listen to. The friendship and dynamic of Phife and Q-Tip (at the time) just permeates the speakers. These two sound like they have a ton of fun with this track and they do. It doesn’t even matter what they are talking about, it sounds perfect. That fluidity and smoothness of their back and forth was first heard on the second track, but it’s perfected here. They start off by taking us back to the street they grew up on, giving the listeners a quick four minute version of their beginnings. Personally I love their dynamic, I love their openness and I appreciate so much that the brotherhood was felt. (This song always makes me miss Phife a little more and makes me realize how vital his contributions were to making this album so great). I’ll skip over the next two tracks “Everything Is Fair” and “Jazz(We’ve Got)”, though as expected both are amazing, but “Jazz” is the epitome of what the group was aiming for in alternative Hip Hop. That track is the perfect incorporation of jazz sounds..snare heavy, trumpets and a piano loop make it flawless. The breaks and changes are perfectly timed and Phife’s incorporation of his Trinidadian (West Indian) roots is perfect. I would expect nothing less and these two deliver incredibly. “Do you know the importance of a skypager? This is probably the best nostalgic track and they have fun with it. On the production side, it’s a little different. The samples, the looped beat and the recorded audio makes for a busy background, but it fits well with the song. Once again, Tip and Phife keep it short and sweet and to the point. The second to last track is “What?” which is the perfect title for what we are about to hear. Basically this is two and a half minutes of rhetorical questions… I don’t know how these two manage to make this sound good because they are the only ones that could. The beat is dope, it has a much faster tempo than what we’ve heard, but it forces the duo to keep up which they do without a problem. Conceptually I like this, it’s clever and fun. What a dope way to end an album of this caliber. I appreciate that this was saved to very end and I think Leaders of the New School were a perfect collaboration choice. They all meshed so well together, fed off each other’s energy and made this such a gem and a posse cut that can never be rivaled. A Tribe Called Quest came to Hip Hop with a vision of something new, never before heard and one that would appeal to fans of the culture [of Hip Hop]. 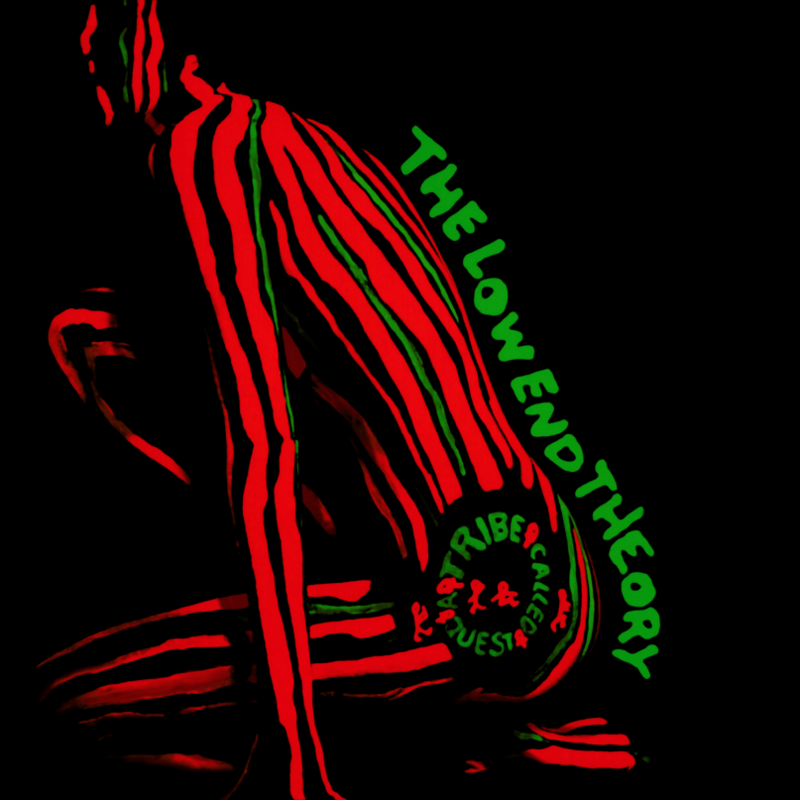 They achieved this with their debut album, but perfected it 25 years ago with “The Low End Theory” . 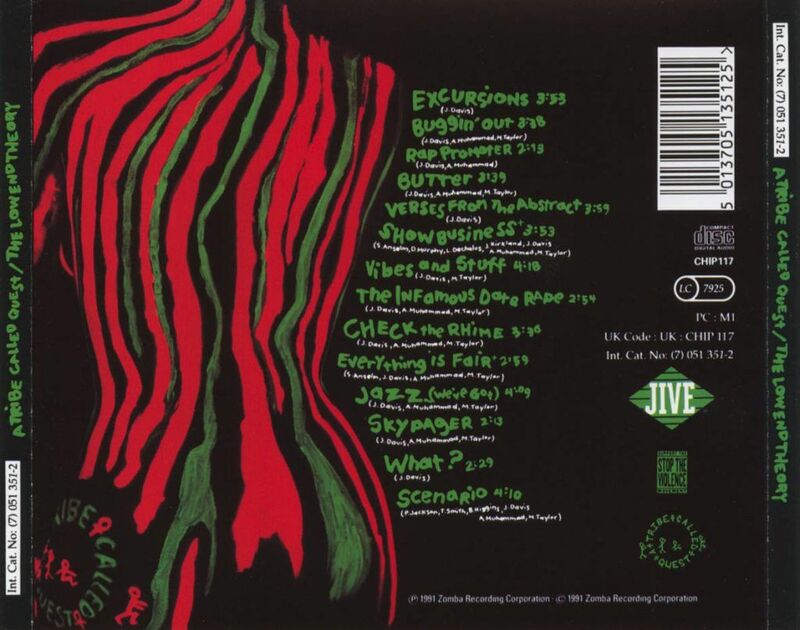 Upon its release, this album made ATCQ legends almost instantly. Their intelligence, modest lyrics and smooth soulful sounds truly captivated audiences of every age group. They left an imprint in the Hip Hop world that will forever be regarded as revolutionary. As heart-wrenching as it was to accept the passing of Phife, I’m forever thankful that he infused each one of the albums with pieces of his personality, insight, wisdom, and heart. Without Phife, Tribe will never be the same but this album has him laced throughout and at his best.